Camera Girl is a great naturalist. She likes being called Hawkeye because of her sharp and discerning vision. She uses this keen sense mostly to see what it says on the speedometer in order to tell me I’m driving too fast. But she also is adept at spotting interesting flora and fauna in the great wide world of our back yard. She spots monarch butterfly caterpillars and hungry foxes and great blue herons and all kinds of birds around her feeders. She discovers muskrats and minks and turkeys and turkey vultures, hawks and deer and coyotes and all kinds of flowers wild and garden. 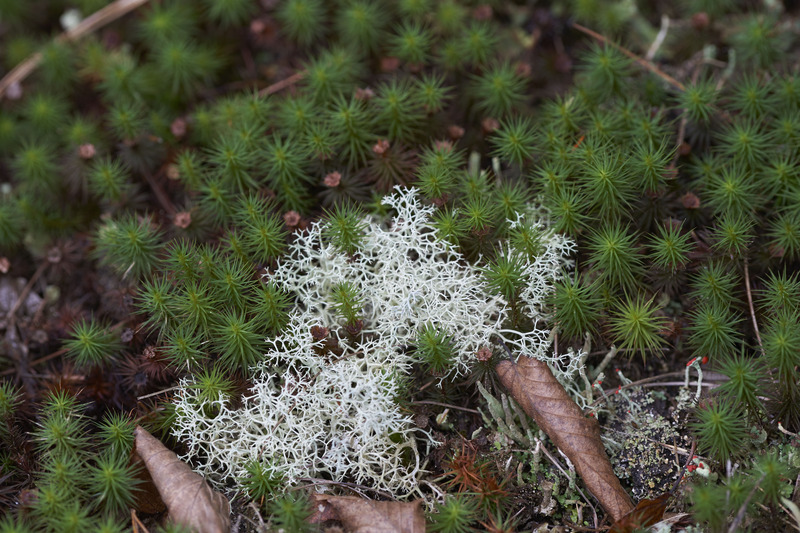 Last year at about this time she spotted some unusual white plants sprouting underneath a conifer on the edge of a heavily wooded area of the property. I thanked her for her find and proceeded to acquire a nice collection of mosquito bites crawling around on my belly trying to get a shot. Here is the plant. I thought it a very interesting plant and assumed it was white only because it was in a darkly shaded area. I thought no more about it until this year. In the last few weeks we have had some extremely hot and also some extremely rainy weather. So even though it is August my “lawn” is a verdant carpet of crab grass. 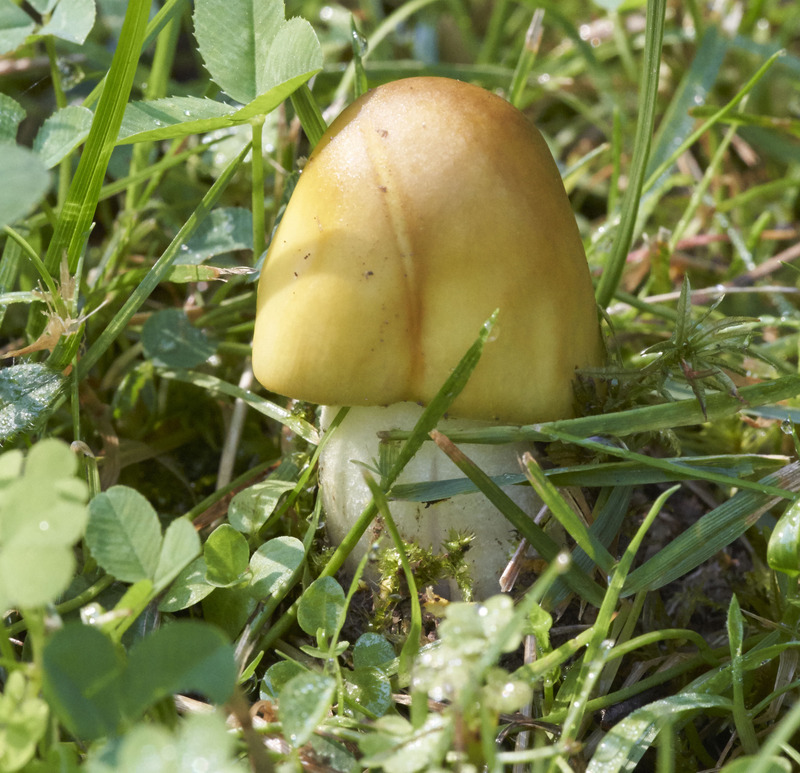 And at the same time a great variety of different species of mushrooms have appeared in the yard, especially close to some wooded areas of the property. 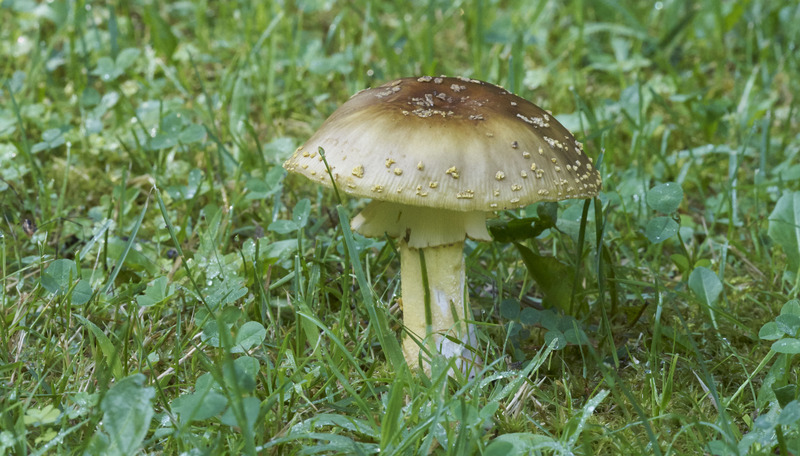 Camera Girl knows I like to use mushrooms as subjects for close-up and macro photography and so she provides me with info on the best new mushroom sightings. This year was no exception so I have managed to photograph a goodly number of interesting fungi. But what was different was her discovery of additional specimens of the sprouting white plants. I was able to use the superb magnified focus of my new Sony A7 III to very good advantage on these plants. 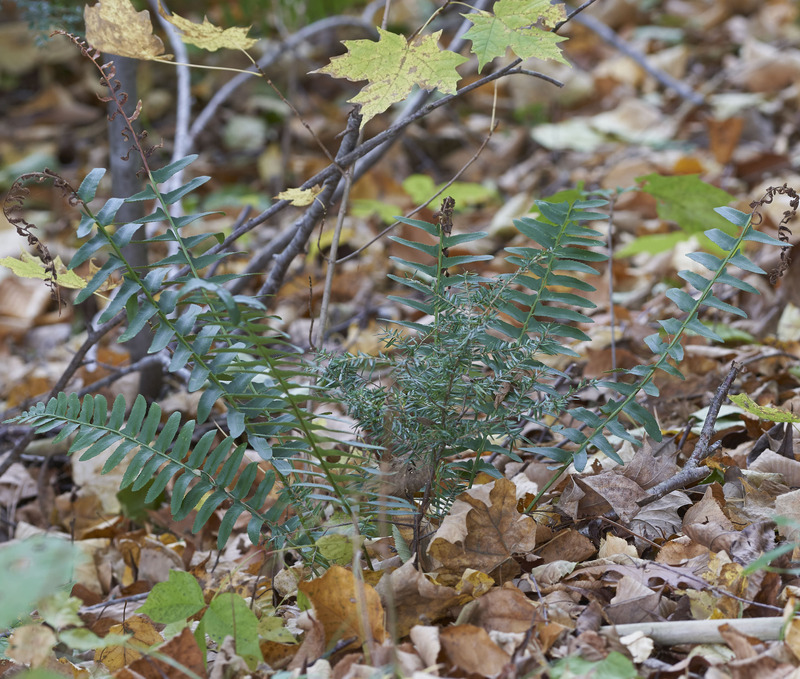 And because the places I found the plants was not as dark as last year’s location I decided that their coloration was not a fluke of location. They really were white. Using all the resources of the interwebs I was able to identify these unusual plants. 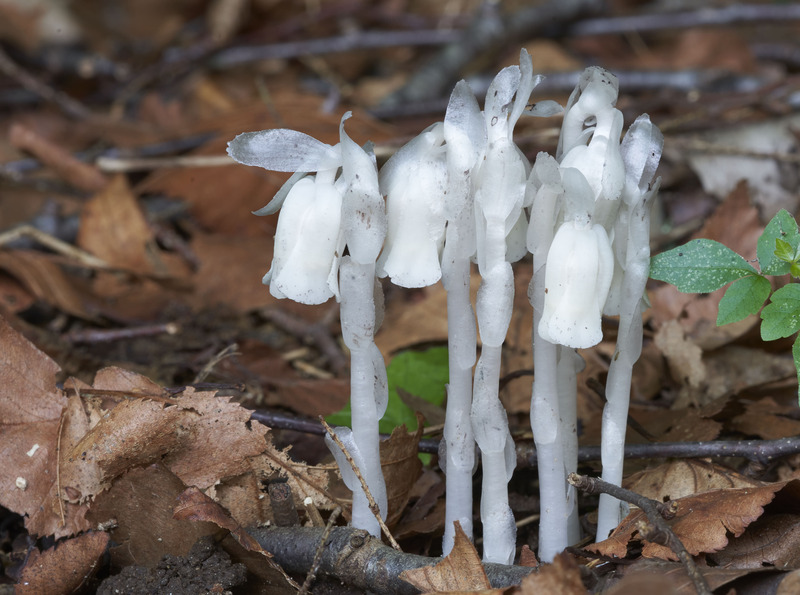 It is known systematically as Monotropa uniflora but commonly it is called Indian pipe, ghost plant and corpse plant. It has no chlorophyll to allow it to produce sugar from carbon dioxide and water. 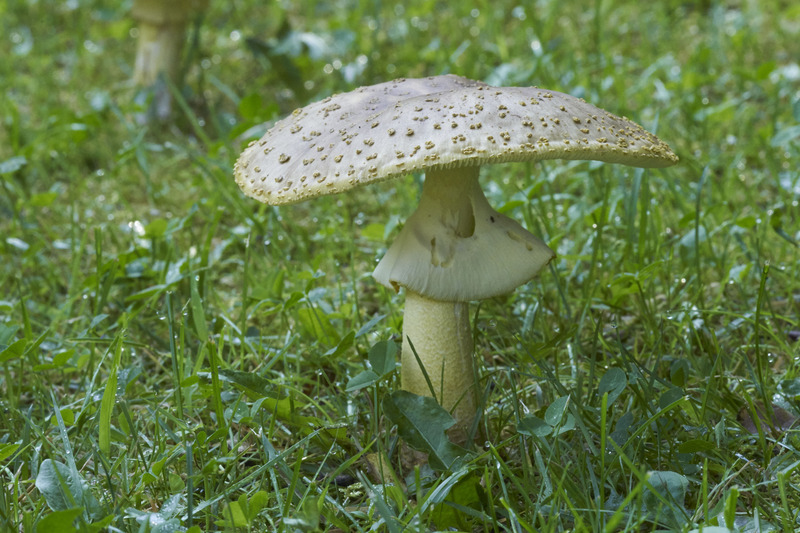 Instead it steals its food from underground fungi of the family Russulaceae. 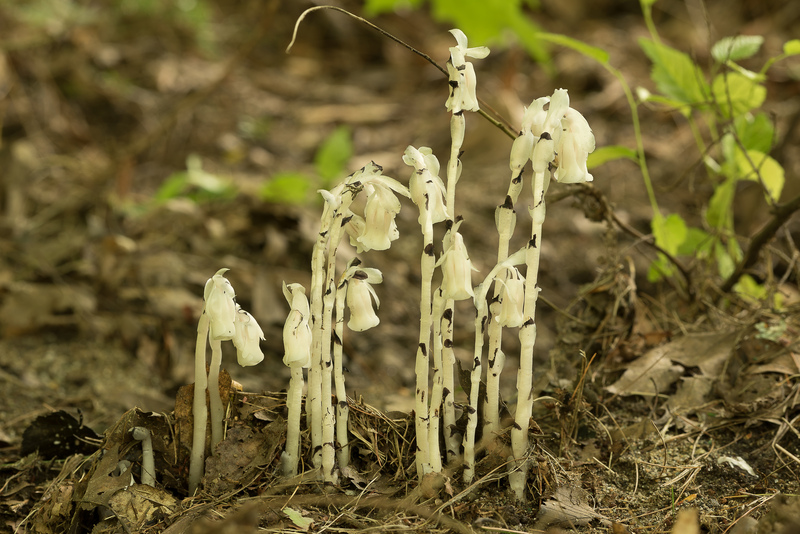 This condition of lacking chlorophyll and living parasitically off fungi makes the Indian pipe what is known in botany as an obligate myco-heterotroph. And it gets even more complicated than that. 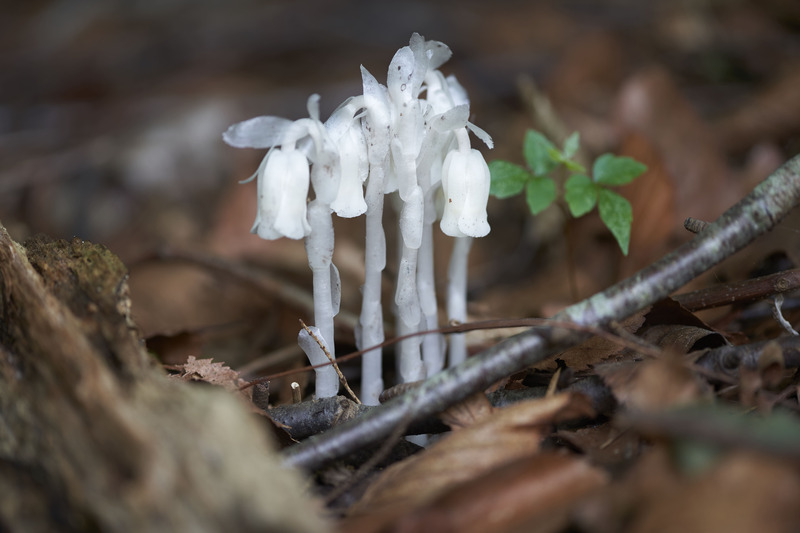 The fungus that Indian pipe is mooching off is simultaneously in a symbiotic existence with underground tree roots of beech and other woodland trees. The tree roots allow the fungus access to sugar and the fungus breaks down decaying material in the soil so that the trees can absorb the nutrients it could not obtain on its own. 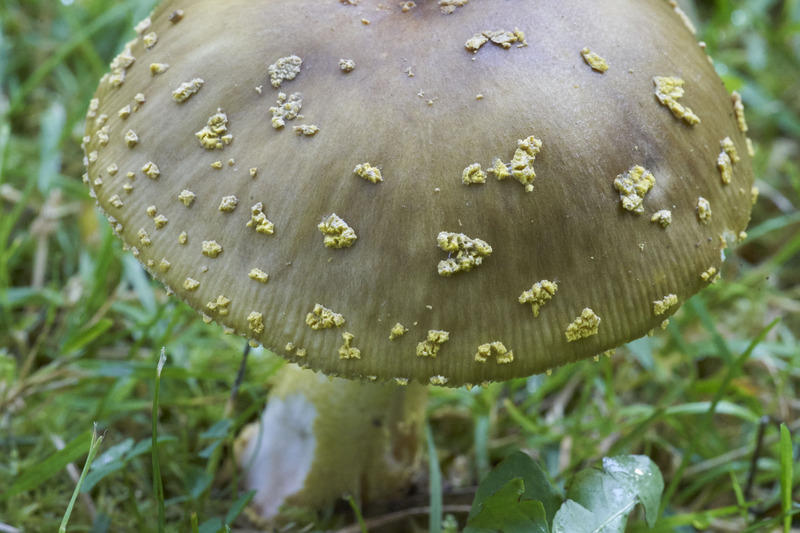 In fact, the tree roots and the fungi form an interface called a mycorrhizal network in which the cells of the roots and the fungus interpenetrate each other to allow nutrient materials to flow in both directions to the mutual benefit of both. So it was no coincidence that Camera Girl discovered the Indian pipe while scouting out new mushrooms. 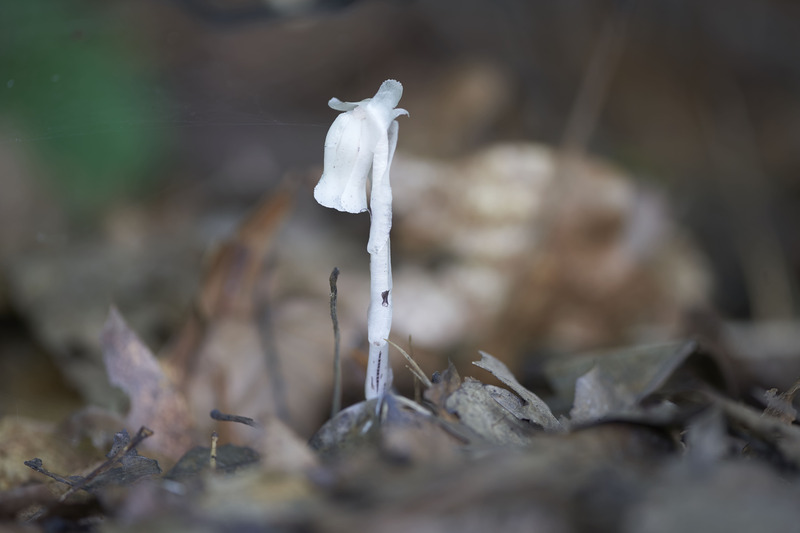 The torrential rain and torrid heat of the last few weeks is what triggered the sprouting mushrooms and the Indian pipe bloom. And now I see the even closer relation between these two life forms. 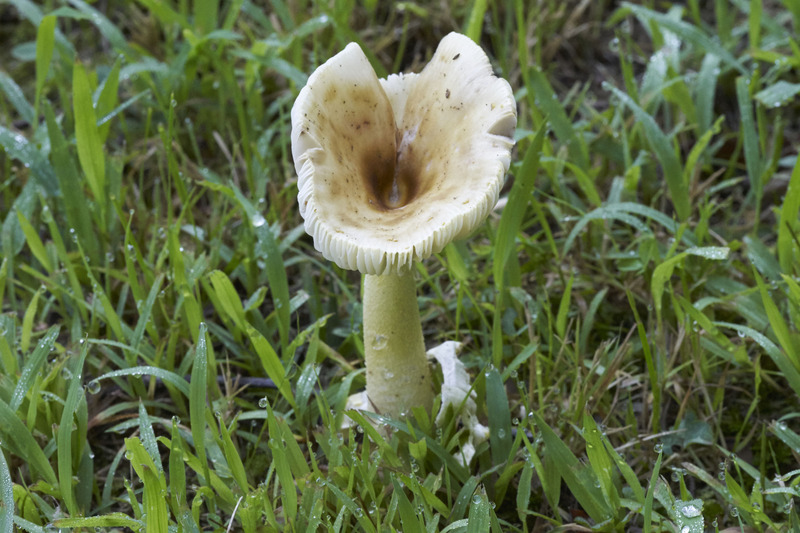 The mushroom is the victim of the Indian pipe thief. So, this is the kind of weird stuff that I am interested in. This doesn’t really belong solely in photography or current events and definitely not in science fiction or reviews. That is why photog’s Corner was made, for this kind of weird stuff. Caveat lector, let the reader beware.